Judith Barrett was born Lucille Kelly on February 2, 1909 in Venus, Texas, the daughter of a cattle rancher, Barrett made several appearances at The Palace Theatre, Dallas while still at school. Her first big chance came when she started in a lavish commercial film in 1928, “The Stock Exchange” opposite Bobby Vernon. In 1929 she went to Hollywood, starred in five films, and made a successful transition to “talking films”. From 1928 to 1933 she was billed as “Nancy Dover”, and from 1930 to 1933 she appeared in nine films, all credited. In 1933 she only appeared in one film, “Marriage Humor” opposite Harry Langdon and Vernon Dent, while doing stage work. She would not have another role until 1936, when she starred in the crime drama “Yellowstone” opposite Henry Hunter, and alongside Ralph Morgan and Alan Hale. It was the first film that she was billed as “Judith Barrett”. She appeared in two films that year, and five in 1937, one of which was her first uncredited role. From 1938 to 1940 Barrett appeared in ten films, all credited. 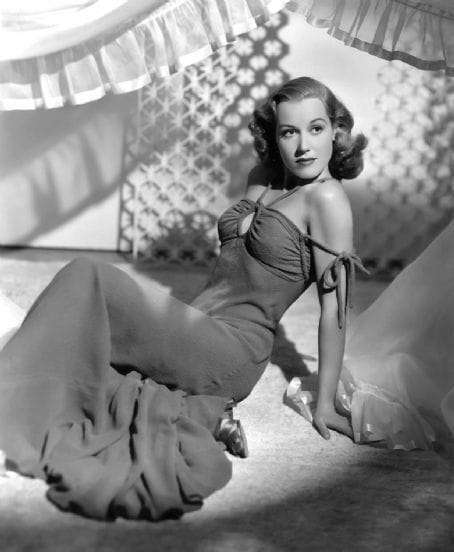 Barrett retired from film acting following her appearance in the 1940 film “Those Were the Days!”, starring William Holden and Bonita Granville. She eventually settled in Palm Desert, California, where she was residing at the time of her death on March 10, 2000.